Which actually turns into (surprise!) purple soda. No matter what, July 4th is going to be a scorchingly hot day. You always get sunburned and spend the day in the pool to cool off. 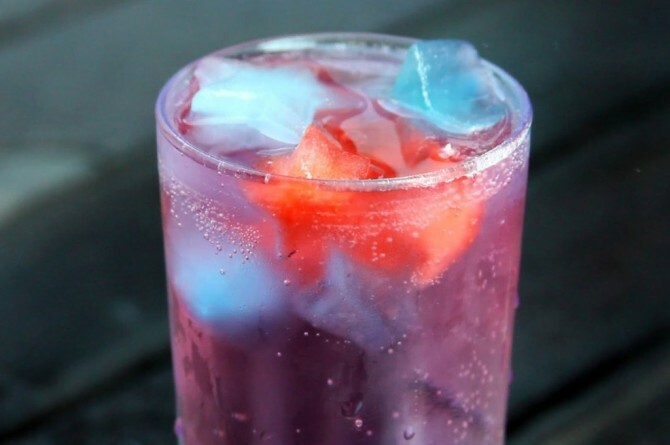 And what better way to quench your thirst after a long day outside than with a patriotic soda? Servings: As many as you make! 1. Prepare KoolAid according to packet and pour into ice cube tray. 2. Once frozen, add to soda and watch your bubbly turn purple!